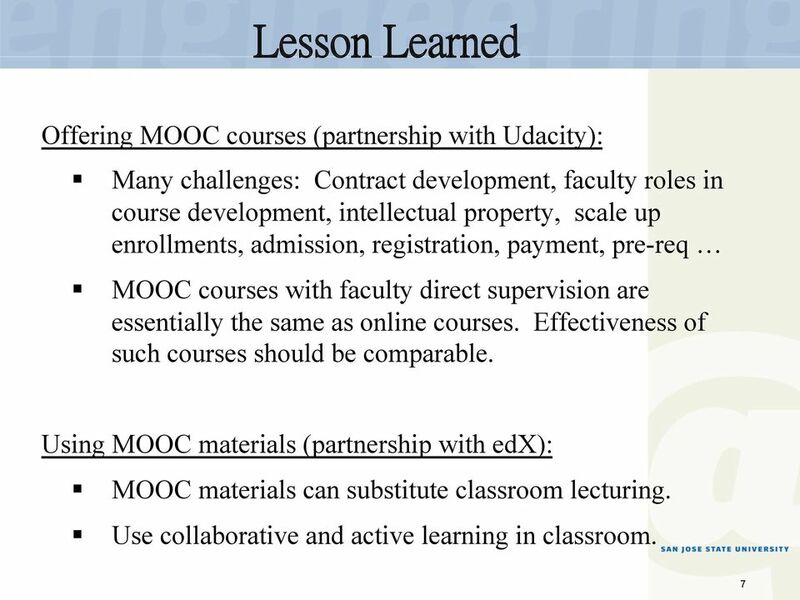 Download "MOOC experiences at San Jose State University"
3 SJSU/Udacity Partnership! 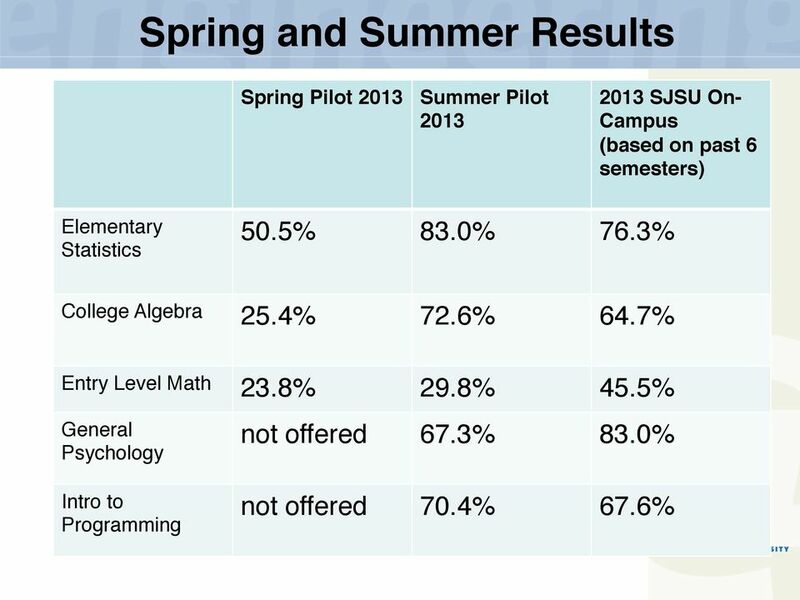 Spring 2013 Statistics, Remedial Math, Algebra; Summer Intro Psychology, CS Java Programming Jointly developed course materials. 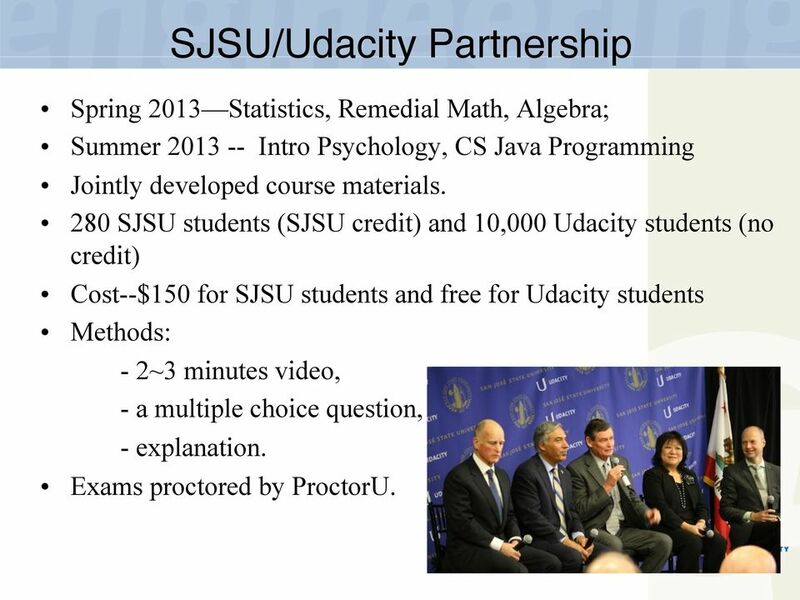 280 SJSU students (SJSU credit) and 10,000 Udacity students (no credit) Cost--$150 for SJSU students and free for Udacity students Methods: - 2~3 minutes video, - a multiple choice question, - explanation. Exams proctored by ProctorU. 4 Spring and Summer Results! Spring Pilot 2013! Summer Pilot 2013! 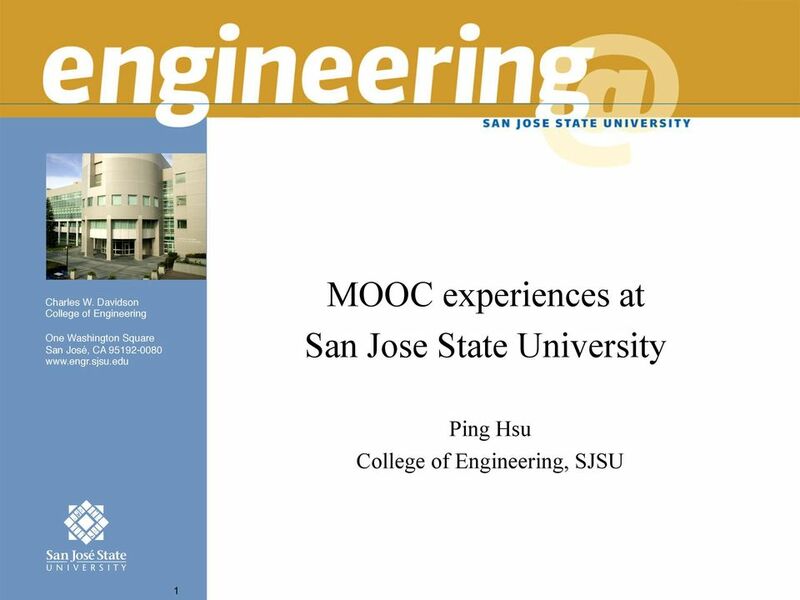 2013 SJSU On- Campus! 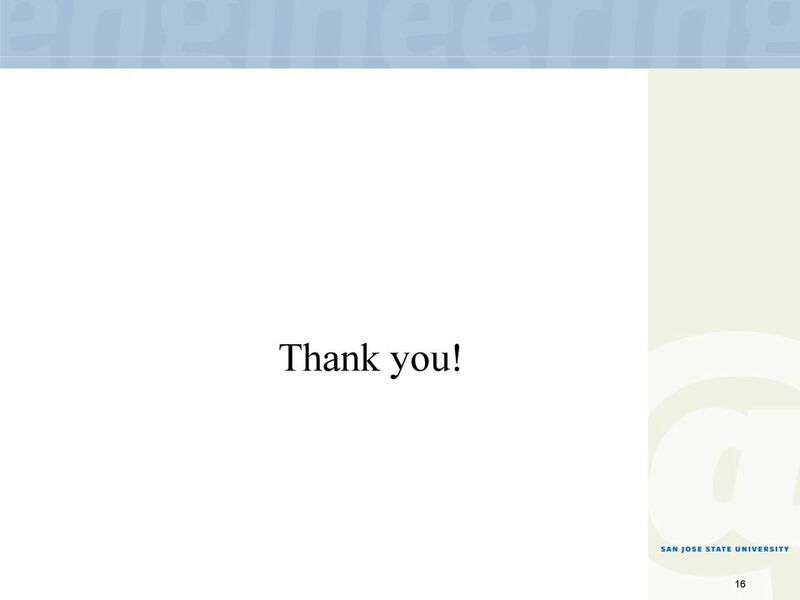 (based on past 6 semesters)! Elementary Statistics!! 50.5%! 83.0%! 76.3%!! College Algebra! 25.4%! 72.6%! 64.7%!! Entry Level Math! 23.8%! 29.8%! 45.5%! General Psychology! Intro to Programming! not offered! 67.3%! 83.0%!! not offered! 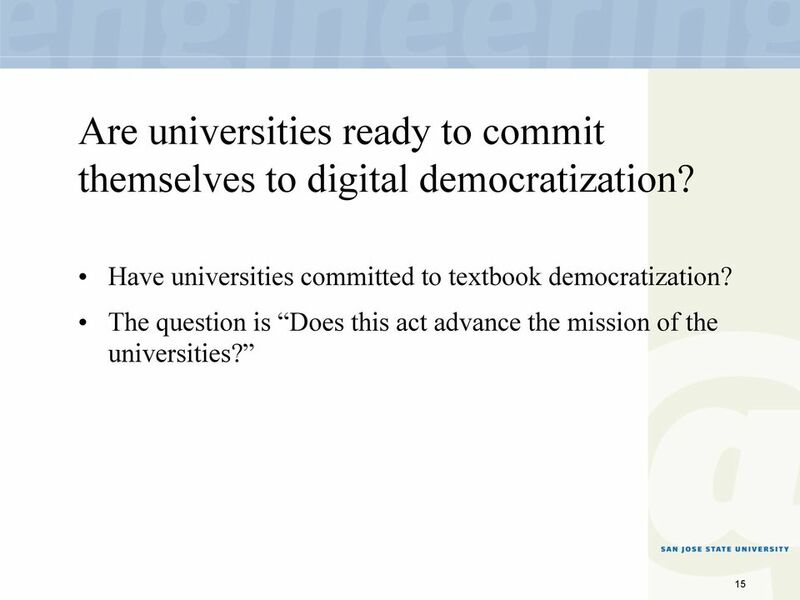 70.4%! 67.6%!! 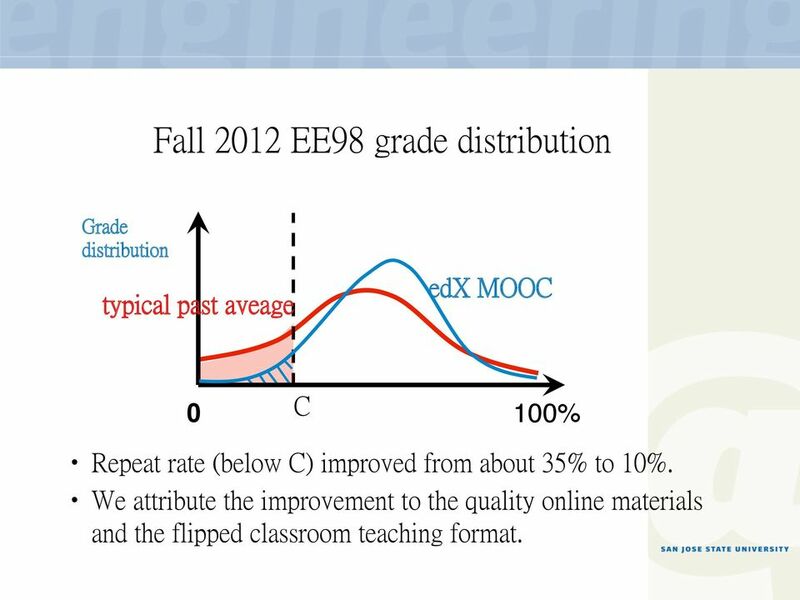 6 Fall 2012 EE98 grade distribution Grade distribution typical past aveage edx MOOC 0! C 100%! Repeat rate (below C) improved from about 35% to 10%. 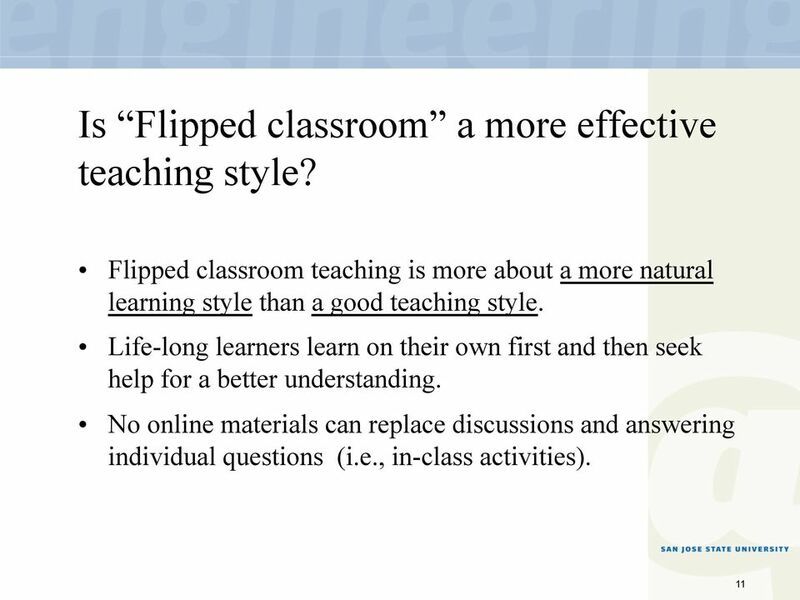 We attribute the improvement to the quality online materials and the flipped classroom teaching format. 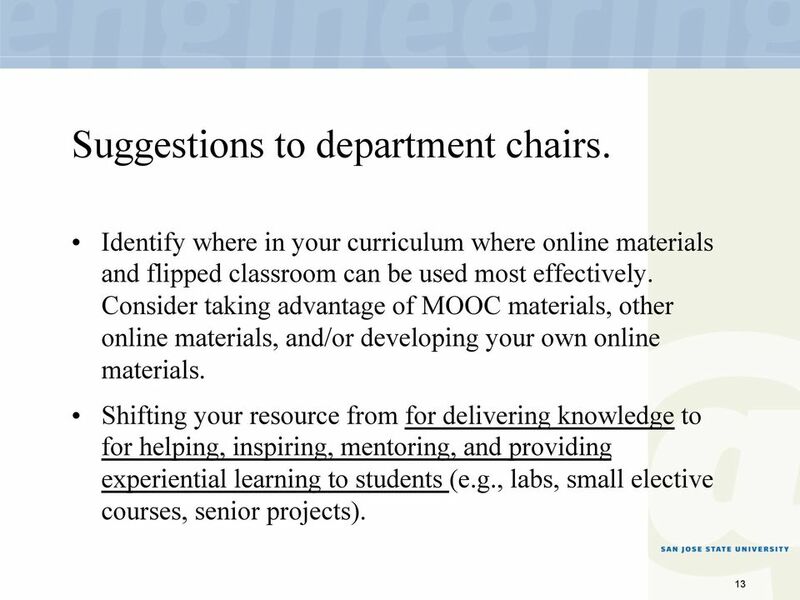 Proposal for Research Online Education in the First-Year Composition Experience. 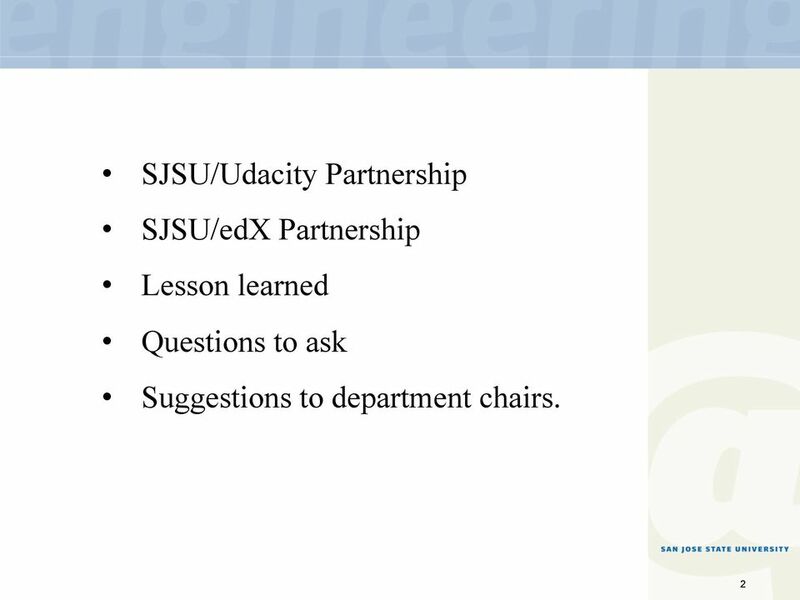 Sarah A. Prasad San Jose State University. October 2013. College of Education Department of Teaching and Learning M.Ed. 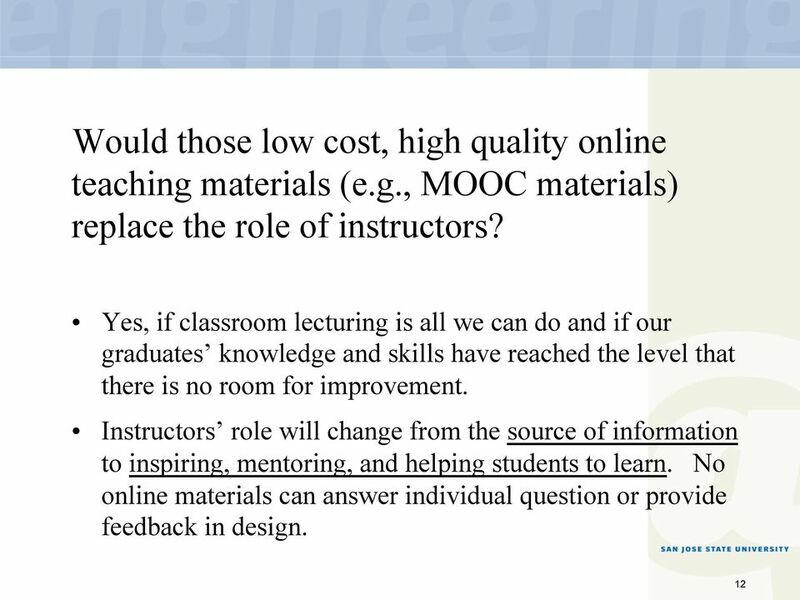 Elementary Education with Certification Emphasis Information Packet & FAQs Thank your for your interest in Northern Arizona University s M.Ed. 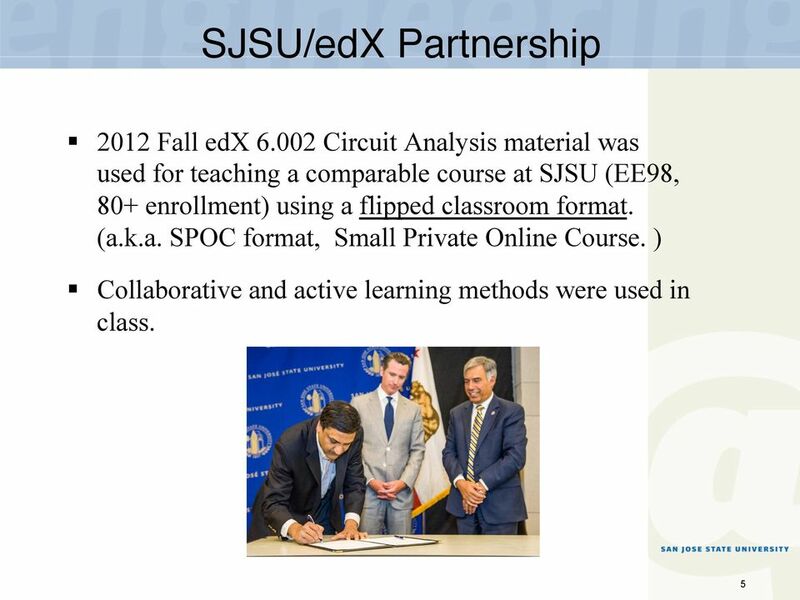 SANTA ROSA JUNIOR COLLEGE SPECIAL STUDIES 98 COURSES APPLICATION FALL SPRING SUMMER 20 NAME STUDENDT ID.# _ PREVIOUS "98" units (if applicable) (total allowable= 6 units) COMPLETED PRIOR COURSE IN DEPARTMENT? 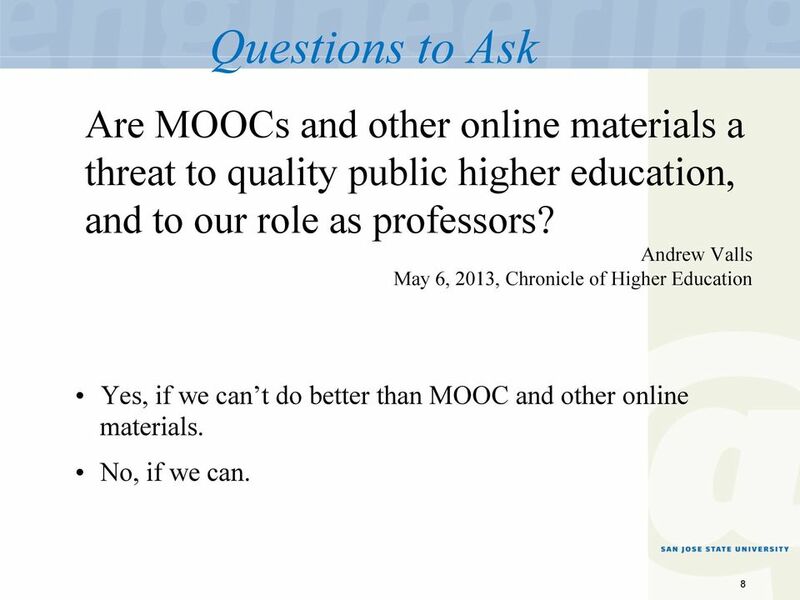 Online Education: The Coming Tsunami?